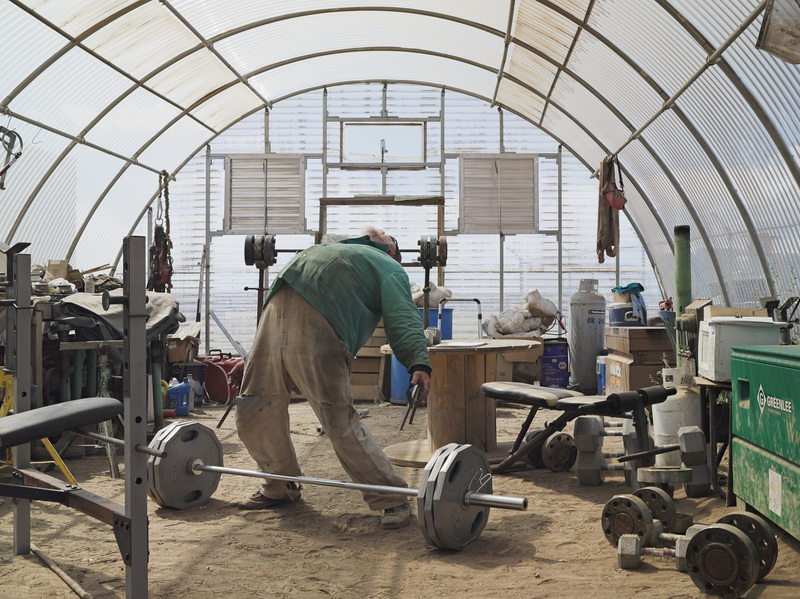 Lucas Foglia�s Frontcountry takes on an American icon � and finds the remaining cowboys� way of life at risk from the scramble for energy. So goes the chorus of Ed Bruce ballad The Last Cowboy, which was released in May 1980. But although their numbers have been dwindling for years, cowboys so still exist, roaming the plains and valleys of the American West as they have done since the late 19th century. They have had to adapt to 21st century life, though, and where the song has them supplementing their wages �in a market on weekends selling tobacco and beer�, it is now resources, from copper to gold, oil, natural gas and even wind and solar energy, which is competing with their herding and farming activities. 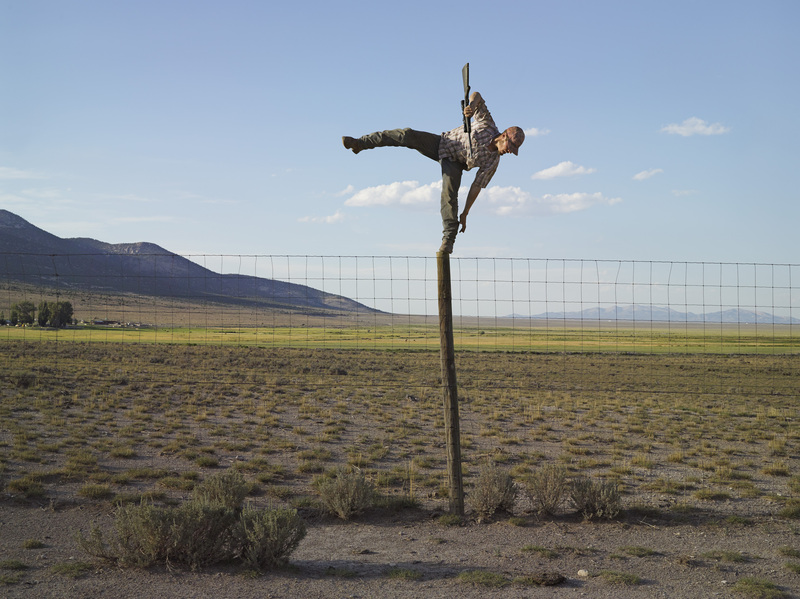 Lucas Foglia approaches this knotty issue by surveying the subtleties of an American icon. He travelled throughout rural Idaho, Montana, Nevada, New Mexico, Texas, and Wyoming between 2006 and 2013, visiting some of the least-populated regions in the United States and finding places in which �the landscape felt bigger, harsher and more remote than anything I had experienced�. Friends introduced him to ranchers such as Casey, Rowdy, Donnie, Tommy, Stacy, Randy, Annie, Jaime on the way; Foglia spent weeks with them, repeatedly coming back to visit, and slowly found a story � but one of mining, not farming, and its effect on traditional life. The narrative begins with photographs of cowboys and their kin, a short text by Nevada rancher Olan Clifford Teel introducing us to their world. Teel twice begins a thought with �It was quiet until��, and Foglia�s opening images capture the calm before the storm � in some shots idyllic Marlboro Men command the landscape, in others cowboys quietly go about everyday life. But slowly, picturesque oddities appear on the pages � a pristine soccer field in front of a snowy mountain range; cattle walking in a single file along the road like refugees on an exodus; a dog sniffing large cow entrails on a sunny winter day. Then, as the barren landscapes created by the mines come into view, the quiet serenity gives way to a palpable tension. Foglia neither idealises the cowboys nor reviles the miners, but his images show some of the issues that arise when these two very different industries share the same terrain. �The TS Ranch in Nevada is owned by a subsidiary of Newmont Mining Corporation. The ranch uses water from the company�s nearby gold mines to irrigate alfalfa. The alfalfa hay they grow is fed to over five thousand cattle,� he explains, as an example of mutual support. It�s an issue close to Foglia�s heart, after growing up with a family that farmed, canned food and bartered their harvest for goods while malls and supermarkets developed all around. Foglia�s first photobook, the acclaimed A Natural Order, dealt with individuals who had chosen to leave cities and suburbs and live off the grid; his second is devoted to those who grew up in the country and decided to stay. 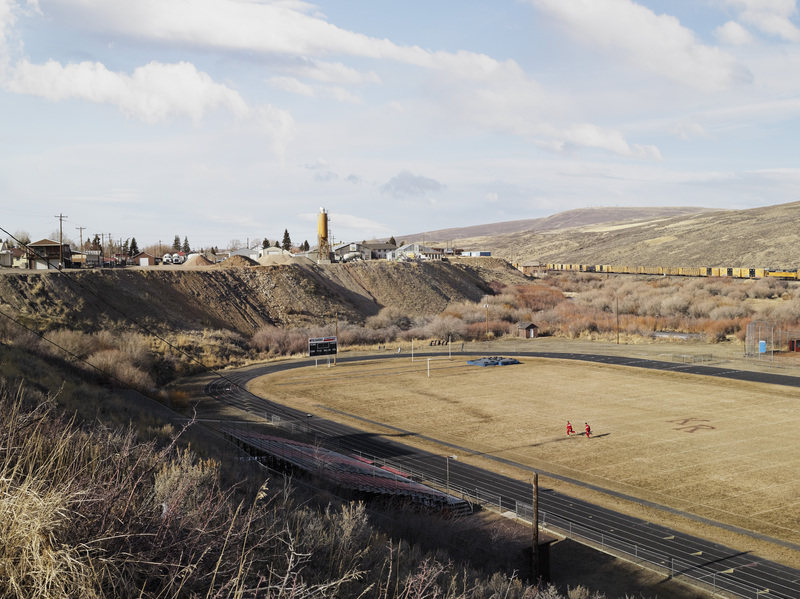 �I keep coming back to the question of how rural communities navigate modernity and how landscape shapes people into who they are,� he says. Foglia shot 60,000 images but included just 60 in the book, carefully editing out �any photograph that�s didactic, that tells the viewer what to think�. He hopes his more subtle approach will prove more memorable and �provoke people to look, to ask questions and to find their own answers�, and to this end, has provided a list of news sources and maps at the end of the book. Online he�s taken this a step further and linking the title of each photograph to a Google search, both to provide more information and ensures the information stays up to date. As history and his project all too clearly show, nothing is set in stone. See more of Lucas� work here. First published in the March 2014 issue of BJP. Buy it now.